Although Italino Iacomelli’s mother (Anni Cinove) died giving birth to him, he was a cheerful and happy child popular with the local women. In 1925 on a hot August afternoon, five year old Italino left his house in Piazza San Bartolomeo dell’Olivella to play. Watched by his father he ran to Carbonara Salita Gardens with his favourite toy, a hoop. (The hoop was propelled by stroking a one foot dowel or stick along the top). On his way there, the hoop landed between the legs of a young man. As Italino seemed undaunted when the man lifted him from the ground, his father was unconcerned until he saw Italino thrown from the 15 meter high wall. The murderer named Louis was a man from an area of Genoa called Rivarolo. He had been previously hospitalized as suffering from a mental disorder. (The previous day he told police that he had thrown a girl from the Corso Mentana wall, but when he later recanted he was released). He began to flee but was caught and beaten by a group of onlookers. Although Italino was seriously injured and died that evening, his father forgave the murderer. He died on 16 August 1925 and was buried in Staglieno Cemetery, Genoa, Italy. The town showed their grief as shops closed and thousands followed the funeral procession. He was laid to rest with his mother. His father Donatello Iacomelli (1889-1976) was later buried alongside his family. The monument was designed by Italian sculptor Adolph Lucarini. The words Immaculate Lily are engraved on a plaque commemorating the tragedy that ended his short life. Details from the historical archive of the newspaper Il Secolo XIX. In 1880, six-year-old Inez Clarke was struck and killed by a bolt of lightning. Her parents commissioned an artist to create a sculpture in her likeness and placed it over her grave in a transparent box to protect it from the elements. It is rumoured that during thunderstorms the extremely life-like statue disappears from inside the box. This cemetery set in 37 acres of woodland is supposedly haunted by the Highgate Vampire, who according to urban legend, is 7-foot-tall and has been attacking people since 1860. The screaming of a murdered minister who is buried here was so troublesome that his skull was placed in cement to stop the screams that emanated from the tomb. According to visitors, the solution was ineffective and his screams which are still audible can cause insanity in those who hear him. The catacombs below Westminster Hall house the bodies of people who were buried alive. Look out for Leona Wellesley, an insane asylum patient, who was buried here in a strait-jacket and follows people through the cemetery. The spirit of an old groundskeeper has also been seen chasing people off the grounds while waving a shovel at them. La Recoleta is haunted by a young girl named Rufina Cambaceres who was mistakenly pronounced dead. Her body was later found in an obvious attempt to escape her tomb. The tomb which was then resdesigned shows the failed attempt. She is rumoured to dig up other graves to make sure no one else has been buried alive. You may also encounter the night watchman who took his own life at the cemetery and the “The Lady In White” who roams at night. This derelict cemetery is isolated and looks abandoned. On foggy weather days, a bungalow appears in the distance but vanishes before you can approach it. 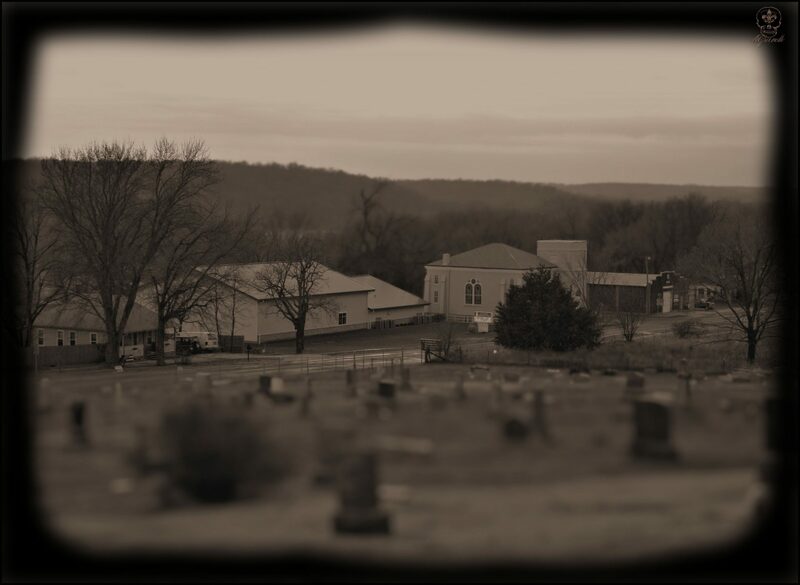 There are also reports of photographs that have been taken of a ghost sitting on a tombstone. She is named the Madonna of Bachelor’s Grove. St. Louis Cemetery has the title of the most haunted graveyard in the world. The ghosts of shouting children have been reported. It also contains the grave of Marie Laveau, the voodoo princess. Her gravestone is etched with three X’s. She has been sighted chanting curses. Many visitors leave her offerings to appease her spirit. A young man named Alphonse approaches visitors and it has been said that they have felt his icy cold touch. The spirit of tour guide Henry Vignes has been unable to rest as he searches for his family’s tomb. There are always bouquet of flowers in a cemetery. Even in the dead of winter with snow on the ground, flowers are visible etched into gravestones. The Carnation (botanical name Dianthus is a derivation of two Latin words meaning flower of the Gods) is a traditional funeral flower in France and symbolizes love and death. The Sunflower is devotion to God. A flower with a broken or severed stem indicates that the deceased died an untimely or premature death and is usually seen on a younger person’s gravestone. This post is not intended to be offensive, just a little amusing. Cause of death may have been smoking. Can understand why Elizabeth used her maiden name on this gravestone. Another death caused by smoking? At any point in time, the current generation is forever indebted to the men and women who gave their lives in the fight for freedom. This post honours a few of the Canadians who At The Going Down Of The Sun, And In The Morning, Will Not Be Forgotten. Here Sleeps A Soldier, Here A Brave Man Rests. One panel is engraved with the crown used in the R.C.A. crest and the letters RCA in cursive font. A second panel contains an inscribed cannon (also part of the R.C.A. crest) with the inscription, Our Soldier Hero. The third panel shows the regiment he served in and his rank. The last panel offers an inscribed dedication. Captain Charles M. Garbert M.C. / 20 Batt. C.E.F. Attached R.F.C. / Born July 15 1894 Killed In Action Feb 1 1917. M.C. is the abbreviation for Military Cross which can be awarded to Commissioned Officers of the rank of Captain, or Warrant Officers, for distinguished and meritorious services in battle. Anagrams – CEF is Canadian Expeditionary Forces and RFC is Royal Flying Corps. Although the symbol on the left of this stone would appear to be Islamic, it is in fact the logo of the Shriner Organization previously known as the Ancient Arabic Order of the Nobles of the Mystic Shrine. It is an arm of the Masonic Brotherhood. The Royal Canadian Legion crest contains the motto Memoriam Eorum Retinebimus meaning We Will Remember Them. The crest of the Royal Montreal Regiment is inscribed on this stone. The motto Honi Soit Qui Mal Y Pense means Shame on him who thinks ill of it. The grave of Colonel James Kerby who served with the 2nd Lincoln Militia, and died June 20th, 1854 is located in St. Paul’s Anglican Churchyard, Fort Erie, Canada. A special plaque commemorates a veteran of the War of 1812. The Niagara 1812 Legacy Council unveiled the marker, the first of its kind, to honour his service. The ceremony marked by cannon and musket fire took place on Sept. 15th, 2013. He Was A Faithful Subject Of The Crown / And For His Gallantry During The War / Of 1812, Received The Thanks Of His / Country And Was Presented With A Valuable / Sword By The Legislative Assembly / Of Upper Canada. In Private Life He Was / Esteemed For His Amiable Qualities His / Generous And Benevolent Disposition And / For His Exemplary Character As A Parent A / Friend And A Christian.